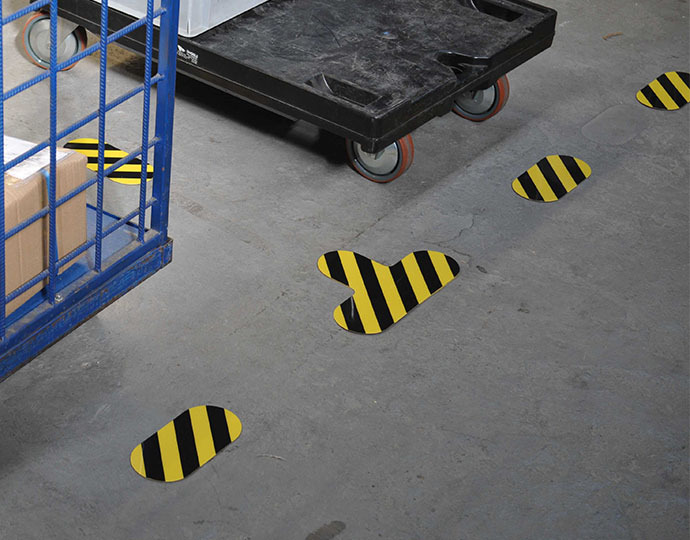 Self-adhesive floor markings are perfect for quickly creating lines or markings. Some examples of this include creating storage areas for pallets, work spaces, walkways, or transport paths in logistic or industrial environments. Various tests have shown that Jeka floor markings are much more durable than other products on the market. Compared to average floor markings, Jeka floor markings remain in place longer and are damaged less quickly. 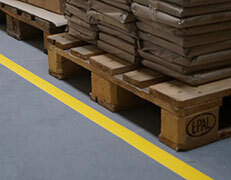 That is because Jeka utilises high-quality materials in the production of its floor markings. 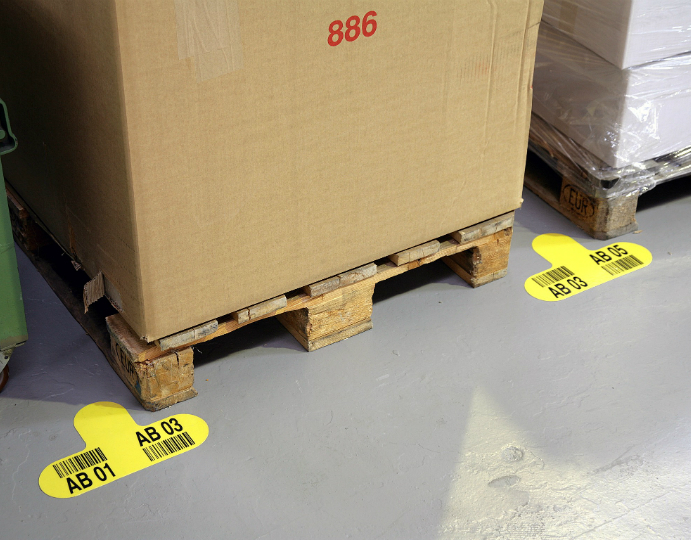 The bottom of the floor marking is equipped with a strong, self-adhesive binding layer. The PVC top layer is highly wear resistant and guarantees a long product life. In this comparison, it is also worth noting the appealing price range of Jeka floor markings: you get a high-quality product for a great price! Using self-adhesive floor markings has significant benefits when compared to painting lines or floor markings. Paint is often used for applying lines in a building. However, this has many disadvantages. 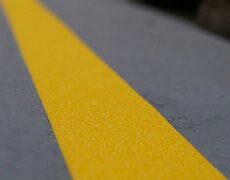 Painted lines become dull or damaged quickly and, most importantly, they are not easy to remove from the floor. That is not a concern when using self-adhesive floor markings. The floor markings can be removed quickly and are cleaner. Additionally, they do not need time to dry, which means they are ready for use immediately. You can also move the markings easily. Removal or replacement of the floor markings is always possible. 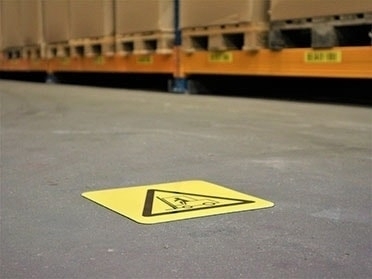 Floor markings can be applied, for example, in a warehouse or in an industrial environment, such as a production space. 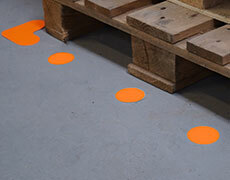 Floor markings also work exceptionally well for the application of 5S and Lean methods. Thanks to the wide array of colours and shapes, business environments can be made more efficient, effective, and safe. Ensure that the surface is dry, clean, and free of any oil or grease. In order to apply the dots accurately, you can use the measuring tape provided to apply one marking every 25 cm. Remove the backing paper from the floor marking and apply it to the area. Tap the product firmly into place with a rubber mallet. For best application results: be sure that the temperature at the time of application is 0 °C or higher. Our floor markings are available in various colours and shapes. In total, there are more than 100 varieties available! All unprinted floor markings are available from stock. The floor markings come in the following shapes: dot, triangle, oval, T-shape, X-shape, corner piece, footstep, or on a roll. The markings have various formats. Jeka produces all these products in-house. However, Jeka has more to offer than just unprinted floor markings. 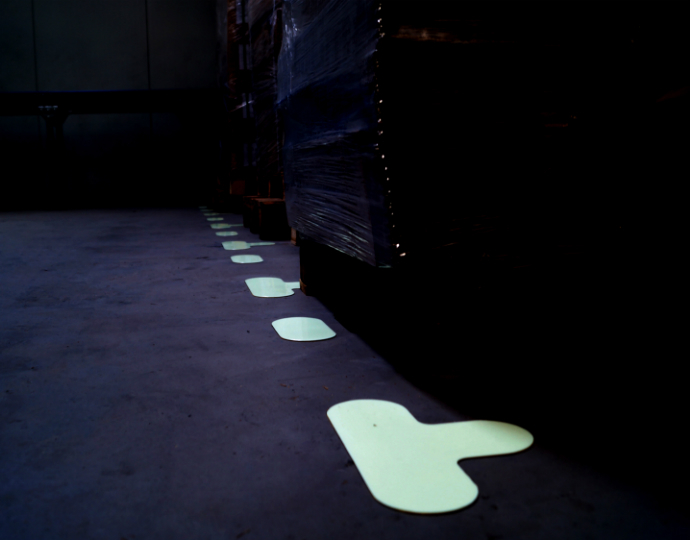 The selection also contains: anti-slip floor markings, glow-in-the-dark floor markings, and floor tape, as well printed floor markings. If you cannot find what you are looking for, email or call us!